Terry Zobeck is back with another entry in Zobeck: Series Two, in which he details the differences in Hammett texts from those used in the Ellery Queen editions assembled by Frederic Dannay vs. the original magazine wording — the extensive set of Series One posts covers Hammett tales that have yet to receive a “pure text” reprint in a modern edition, while Series Two covers stories you can now find in print in pure text form. The trick with this entry is that we do not know if changes from the original Black Mask text originate with Dannay or with Hammett himself, when he brushed up this story for inclusion in the never-published early collection Including Murder. Hammett, after all, is the one who switched the title to “The Gatewood Caper,” and so may have added the last line of new text to cover that change, plus other touches. I think Terry is going to have to make a trip to the Humanities Research Center in Austin to do his thing with the stories in Including Murder. Zobeck: Series Three. It’d be a short series, but a great one. And you know Terry would be in hog heaven taking notes on that material off Hammett’s original mockup for the book. 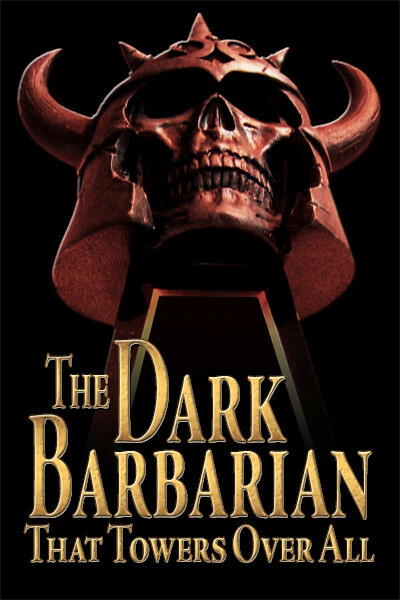 The Black Mask cover image this time comes from the pulp dealer Dave Smith of Fantasyillustrated.net — for which, thanks. The original covers add a certain authenticity to these posts, I think. I like them — everybody likes them. 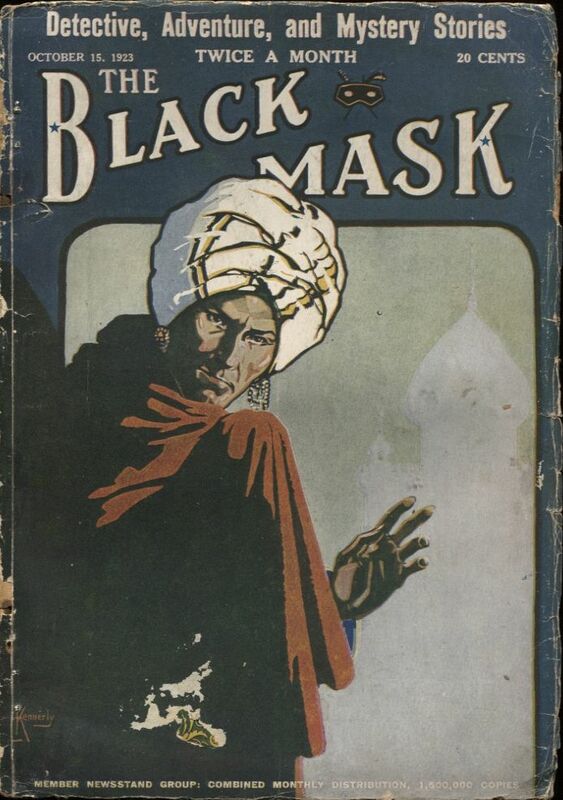 The October 15, 1923 issue of Black Mask was one of two instances when Hammett had two stories in a single issue. “Crooked Souls” is attributed to Hammett — however, the second story, “Slippery Fingers,” appeared under his pseudonym Peter Collinson. This was — and still is — a typical practice by publishers with prolific authors. They want to fill their magazine with quality stories while at the same time avoid overexposing an author. It is easy enough to fool the readers with this ploy, but it is ruined when the protagonist of both stories is the same! Both of these stories feature the Continental Op. Even the most careless of readers had to wonder what was going on, especially since the previous issue of Black Mask carried “Arson Plus,” the first Op story, under the Collinson byline. 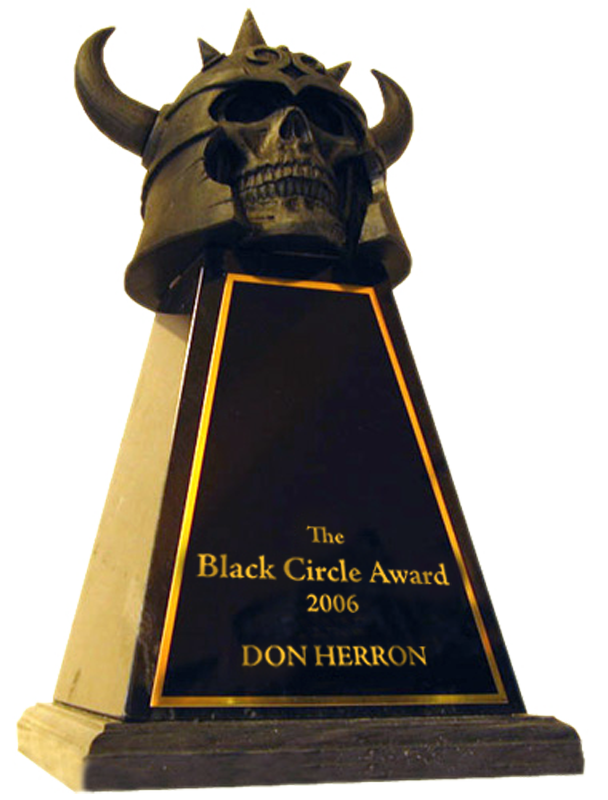 I’ve only seen the original of one of the Collinson stories, “The Vicious Circle,” and it did not identify Hammett as Collinson. If none of the other Collinson stories did so, it may be that we owe the early identification of the Collinson stories as Hammett’s to this publishing peculiarity. Fred Dannay reprinted the story, under the title “The Gatewood Caper,” in the May 1953 issue of Ellery Queen Mystery Magazine. He collected the story in A Man Named Thin in 1962. The pure text version is available in the Library of America’s Crime Stories and Other Writing (2001). The story concerns the kidnapping of the daughter of a San Francisco industrialist, Harvey Gatewood. The Op and local police are brought in to try to get her back and catch the kidnappers. Gatewood is an impatient and imperious character — Hammett repeatedly describes him as bull-headed, making for a difficult father. There’s not much action in the story and the Op wraps it up within 24-hours. In reading “Crooked Souls” I couldn’t help but compare it to “Death & Company,” another case in which the Op deals with a kidnapping. The latter story is the more effective of the two because of its realistic assessment of the probable outcome of most kidnappings — the criminals often kill the victims to avoid them providing the police with their kidnapper’s descriptions and where they were held. In “Crooked Souls” the Op never mentions this; to the contrary, all of his plans hinge on getting the daughter back and tracking down the kidnappers. He never expresses any concern that they won’t release her. But none of these were substantive; rather, they correct some of Hammett’s odd grammar. The story is told in the typical first person, past tense of the Op stories. However, in several instances, Hammett switches inexplicably to present tense. For example, in describing Gatewood’s state of mind, the Op notes: “His wicked jaw is sticking out like a knob of granite and his eyes are filmed with blood — he’s in a lovely frame of mind.” As you’ll see below, the tense is changed to past for this and the other instances. The other edits made fall into the usual categories. There are some that delete racial slurs that by the 1950s were no longer acceptable to most readers. Others attempt to update Hammett’s language to a more modern context. Of these, the one I object to the most is the change of “machine” to “car.” I love that old term. It often comes to mind when I climb into my own. Others just lop off text willy-nilly for no good reason. The most egregious cuts out some of the Ops explanation as to how he solved the crime. In the pure text version, the Op enumerates three mistakes the kidnappers made that led him to solving the case. Here it is cut down to two. At the end of the story Dannay — or was it Hammett in Including Murder? — actually adds a line of text, solely for the purpose of giving him a hook upon which to hang his change of title. As usual the following list provides the page number, the line number and whether it is from the top or bottom of the page, and the affected text — Hammett’s original Black Mask wording is underlined. The page numbers refer to the story as it appears in A Man Named Thin. 37 8 bottom “Tell me about it,” I suggested, drawing up the chair that he hadn’t thought to offer me. 38 4-5 top His wicked jaw was is sticking out like a knob of granite and his eyes were are filmed with blood—he’s was in a lovely frame of mind. 38 7-8 top because I’d I’ve made up my mind that he was is going to tell me all I wanted to know, or I’d I’m going to chuck up the job. 38 16-19 top It demanded $50,000 fifty thousand dollars for her release, and instructed Gatewood to get the money ready in hundred dollar bills—, [the em-dash should be replaced with a comma] so that there would might be no delay when he was is told in what the manner in which the money was it is to be paid. 39 7-8 bottom and he never knew where she was; and Tthere was nothing unusual about her remaining away all night, as Sshe seldom bothered to leave word when she was going to stay overnight with friends. 39 1 bottom and her chin obstinately pointed. 40 6 top and an untrimmed gray grey felt hat. 41 13 top to get that much or else . . . . . . . . ! 42 10 bottom He was thinking of her safety a little now instead of only altogether of his own fighting spirit. 43 12 bottom At 2:30 two thirty the bell rang. 44 8 top remember what we wrote you about the Chink! 44 8 bottom to be mildly intoxicated, and keeping his eyes and ears open. 45 17 bottom Possibly a scout.! 48 2 top in their cars automobiles. 48 15 top or by reputation, but this morning at that I felt sorry for him. 49 3-4 top had been buying clothes in the past couple days that would fit Audrey Gatewood that would fit Audrey Gatewood within the past couple days. 49 14 top names in under the vestibule telephone for apartment 202. 49 9 bottom She frowned. 49 6 bottom or perhaps the man he is going to work for wherever he’s going has applied for it. 50 7 top try to get over the impression that I thought her a woman of shrewd judgment over. 52 19 top You should have waited a while before mailing it, even if it had to miss the first morning delivery. 54 3 top I was glad it was over. It had been a tough caper. This entry was posted in Dash, Frisco and tagged "Crooked Souls", "Peter Collinson", "Slippery Fingers", "The Vicious Circle", EQMM, Frederic Dannay, Terry Zobeck. Bookmark the permalink.